One of the most important aspects of having a strong online presence is giving your readers content, lots of quality content. Content creation, inbound marketing and content marketing are all names for more or less the same idea. Entice visitors with content and convert them to customers by helping or teaching them something new. How many times have you sat down and stared at a blank screen with no idea what to write? Once you get started writing, how many of your articles only get half done before running out of steam and lost forever in the draft VOID? How tired do you get with just the thought of hunting and pecking through endless Google results to research a topic? Wouldn’t it be amazing to being able to create and write an article in less time than it use to take to just research one subject. You can pull all the research you need for your next article at a fraction of the time it would take to manually find and shift through the content yourself. No need to spend hours researching information online. Article Insights will query search engines to find and analyze the most highly ranked articles on the internet and break down that content into understandable keywords and topics. The first thing you can see is a list of important article keywords. 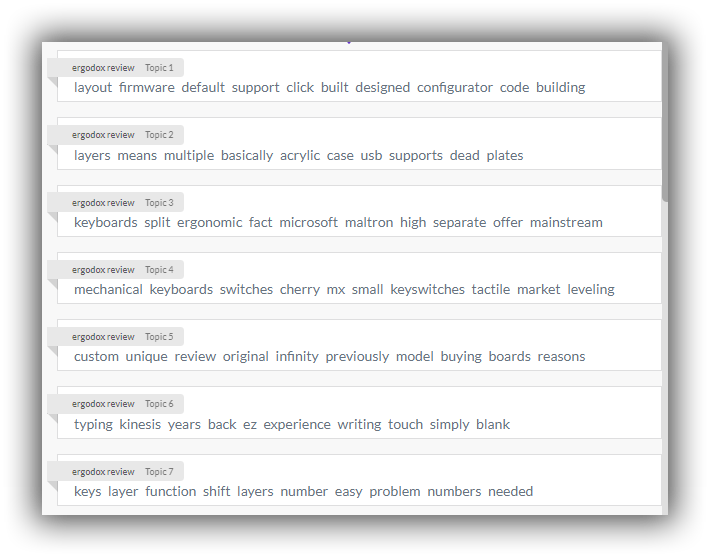 You can click on each keyword to get a list of sentences talking about that keyword. 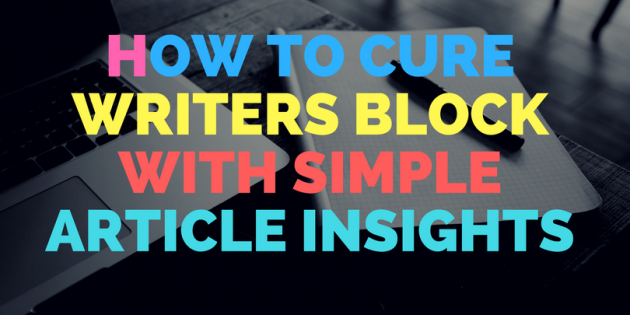 Article Insights is a great way to wrap your head around niches and topics that you struggle to have an interest in. You can be an expert in an area without the need to pour endless hours of research and study. With even just the keyword list you can produce articles that address issues that you might have otherwise missed. If you are doing client work, you can offer to create FAQ or detail pages for products or services that you don’t know anything about. By using Article Insights for topic research, you can produce well researched articles that will impress your clients. In fact, the program works in multiple languages other than English. Right now it supports, German, Spanish, Portuguese, French and Polish. Finding the right words to use in an article can sometimes be difficult. 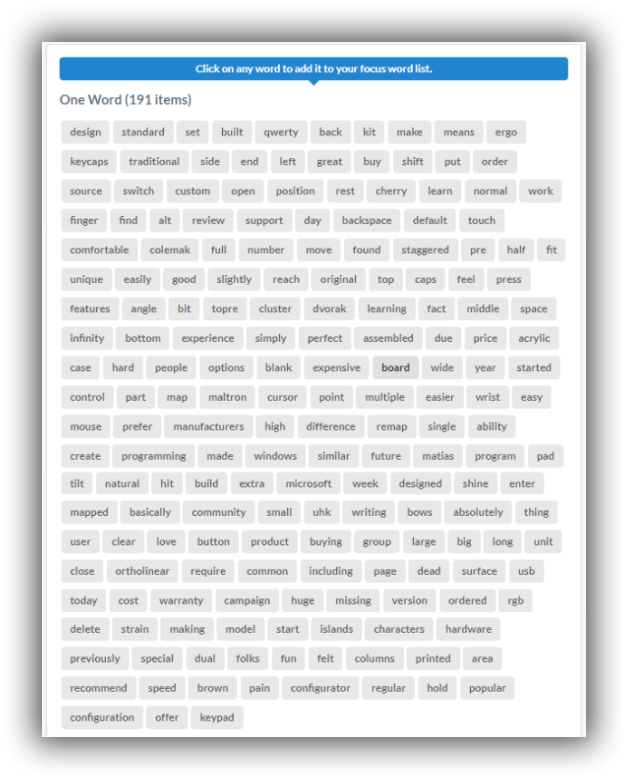 AI gives you a list of keywords and synonyms to kick start your writing. The keyword list is the place to begin. 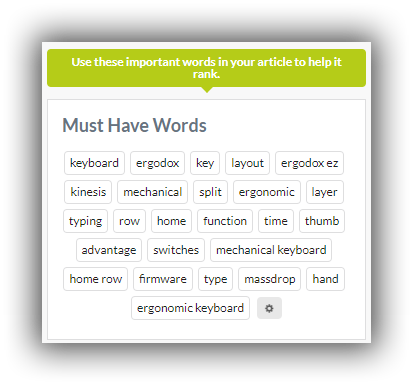 With a list of 200 suggested keywords, you have a library of words to get your article jump started. 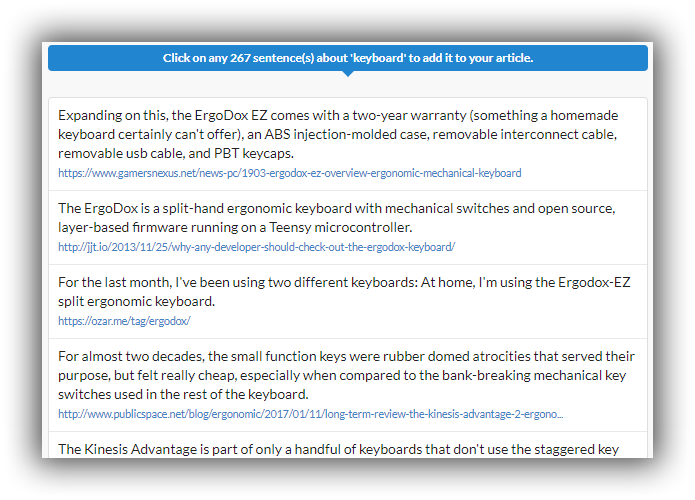 Article Insights can also intelligently group keywords to make topics for you. Article Insights finds information from lots of different sources online so that you can write about the same topic in a new informative and unique way.